Log into your CartStack account and copy your unique tracking code from the code page. Next, log into your AmeriComerce store admin. 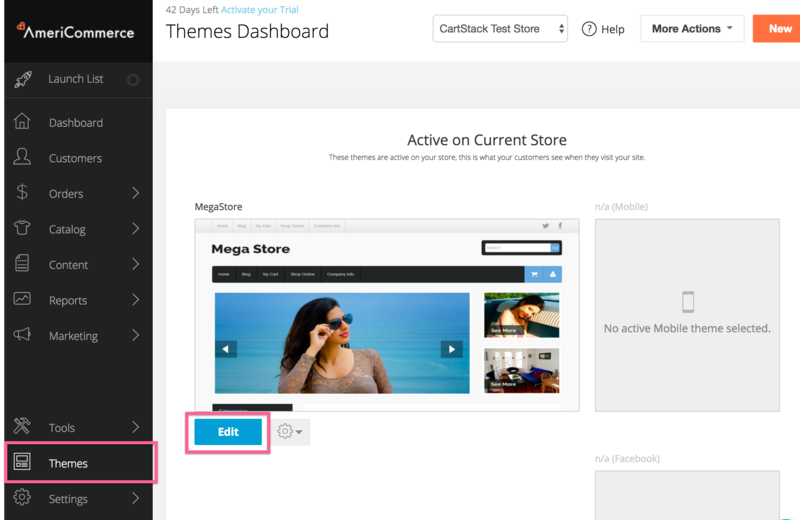 Then click on "Themes" and then "Edit" button next to your current theme. 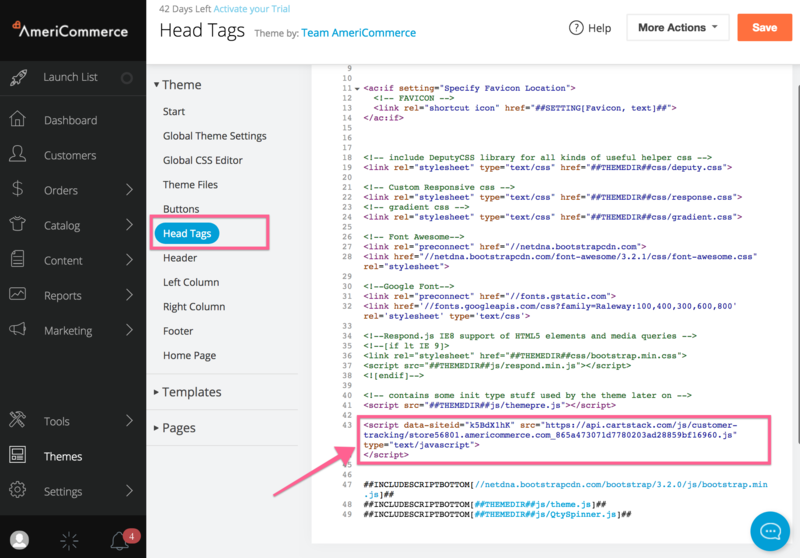 From the theme settings page, open up the "Head Tags" file and paste in the CartStack tracking code at the bottom of the file (but above any ###INCLUDESSCRIPTBOTTOM## tags). Finally, go back to your CartStack code/setup page to finalize the setup. Enter the thank you / confirmation page URL of your store and then click "Review my Integration".